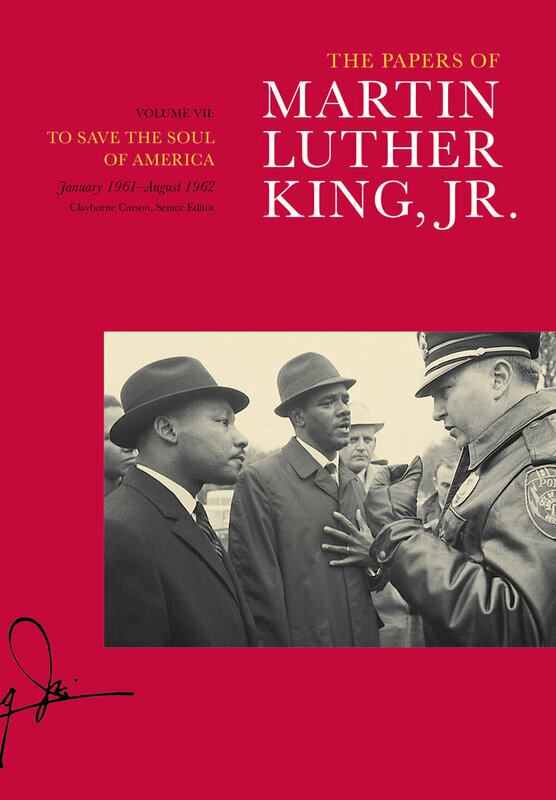 Preserving the legacy of one of the twentieth century’s most influential advocates for peace and justice, The Papers of Martin Luther King, Jr., is described by one historian as being the “equivalent to a conversation” with King. To Save the Soul of America, the seventh volume of the anticipated fourteen-volume edition, provides an unprecedented glimpse into King’s early relationship with President John F. Kennedy and his efforts to remain relevant in a protest movement growing increasingly massive and militant. Following Kennedy’s inauguration in January 1961, King’s high expectations for the new administration gave way to disappointment as the president hesitated to commit to comprehensive civil rights legislation. As the initial Freedom Ride catapulted King into the national spotlight in May, tensions with student activists affiliated with the Student Nonviolent Coordinating Committee (SNCC) were exacerbated after King refused to participate in subsequent freedom rides. These tensions became more evident after King accepted an invitation in December 1961 to help the SNCC-supported Albany Movement in southwest Georgia. King’s arrests in Albany prompted widespread national press coverage for the protests there, but he left with minimal tangible gains. During 1962 King worked diligently to improve the effectiveness of the Southern Christian Leadership Conference (SCLC) by hiring new staff and initiating grassroots outreach. King also increased his influence by undertaking an overcrowded schedule of appearances, teaching a course at Morehouse College, and participating in an additional round of protests in Albany during July 1962. As King confronted these difficult challenges, he learned valuable lessons that would later impact his efforts to desegregate Birmingham, Alabama, in 1963. Clayborne Carson is the Martin Luther King, Jr., Centennial Professor of American History at Stanford University; Ronnie Lott Director of the Martin Luther King, Jr., Research and Education Institute; and senior editor of the Martin Luther King, Jr., Papers Project at Stanford University. He is the author of In Struggle: SNCC and the Black Awakening of the 1960s, Martin’s Dream: My Journey and the Legacy of Martin Luther King, Jr., and coauthor of African American Lives: The Struggle for Freedom. Tenisha Armstrong is Associate Director of the Martin Luther King, Jr., Papers Project at Stanford University. She is the coauthor of The Martin Luther King, Jr., Encyclopedia and coeditor of Volume V: Threshold of a New Decade, January 1959–December 1960 of The Papers of Martin Luther King, Jr. In 1985, Mrs. Coretta Scott King, the founder of the King Center in Atlanta, selected Stanford historian Clayborne Carson to edit the papers of her late husband. Since then, the King Papers Project has continued its efforts to complete a definitive fourteen-volume edition of King's most significant sermons, speeches, correspondence, published writings, and unpublished manuscripts. This long-term research and publication venture is being conducted in association with the King Estate, Stanford University, and the University of California Press.